I would say that this collection signifies a change of direction and a more fresh and openminded approach to the earth series. The sounds here are still underground, but they represent a more down-tempo wider field; dark 70's style blacksploitation/ spy film dark funk/jazzy breakbeat (black widow/ The Plan/ Blofeld), soul infused instrumental hip-hop beats (The Warning), Lyrical hip hop Mcing (Enlightenment), Latin vibe beats (Amigo Mio) and warm uplifting mellow nu-jazz/ broken beats (spiritual/how do you do?/ Shrinking Your head/ Circular). This is a lovely, diverse CD which stopped the earth series stagnating and being pidgeonholed within spacy 'intelligent' drun & bass territory. One for true music lovers and open-minded heads. This album is not produced directly by LTJ Bukem, as often perceived. 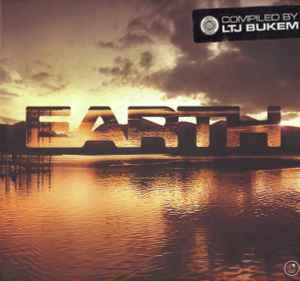 Still, it runs smoothly along the "Earth vol. x" line and presents a nice blend of downtempo music. There is a noticeable difference to the first three releases though, as it sounds much more "mainstream". no drum 'n bass like the LTj releases, still, a very mellow collection to have running while sitting in the shade and sippin' on something.